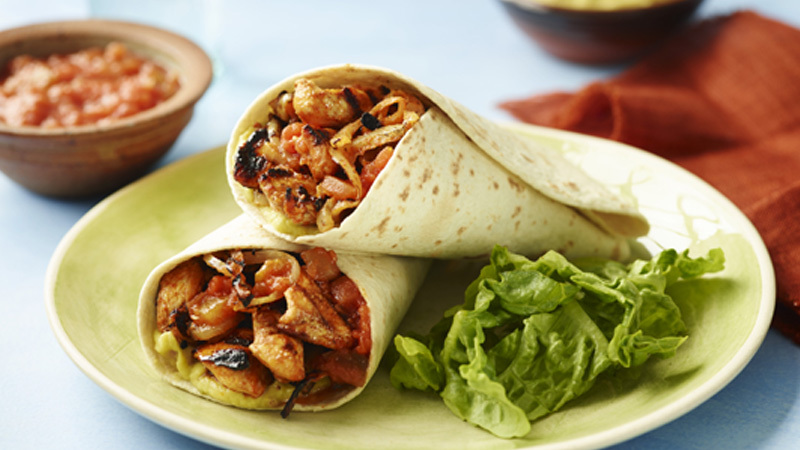 Marinating the chicken for just a few hours will give these quick and easy fajitas masses of flavour! Mix the lime juice, oil and chilli powder in a shallow non-metallic bowl. Add the chicken and onion and turn to coat in the marinade. Cover and chill in the refrigerator for at least 1 hour or overnight. Heat a cast-iron griddle pan over a high heat. Remove the chicken and onion from the marinade (discard remaining marinade) and cook on the griddle pan for 4-6 minutes, turning until charred and the chicken is completely cooked through. Warm the tortillas as directed on packaging. Divide the chicken and onion between the tortillas. 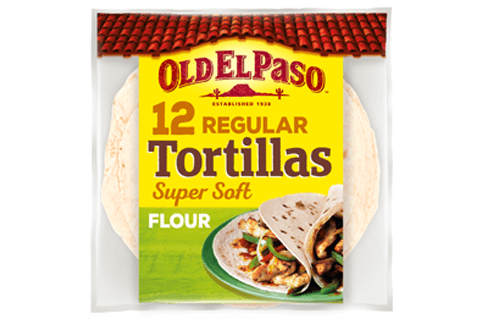 Fold one end of each tortilla up about 2cm over the chicken mixture and fold left and right sides over folded end, overlapping. Serve topped with salsa and guacamole. Add some sliced red or green peppers to the marinated chicken mixture.